Our most popular pocket edition of the classic story, abridged and condensed. Chakravarti Rajagopalachari was hailed as the conscience-keeper of Mahatma Gandhi, with whom he was a close associate. Considering Gandhi's love of the Bhagavad Gita and Rajaji's clear love of the Mahabharata from which the Gita comes, is it any wonder? An ardent freedom fighter, Chief Minister of Madras, Governor of West Bengal, Home Minster of India, and the first Indian Governor General of India, C. Rajagopalachari was also one of the founding members of the Bharatiya Vidya Bhavan, the Institute of Indian Culture in Bombay. All this and more and he still found the time to write or translate over eighteen books, of which his abridgement of the Mahabharata is a perennial bestseller. 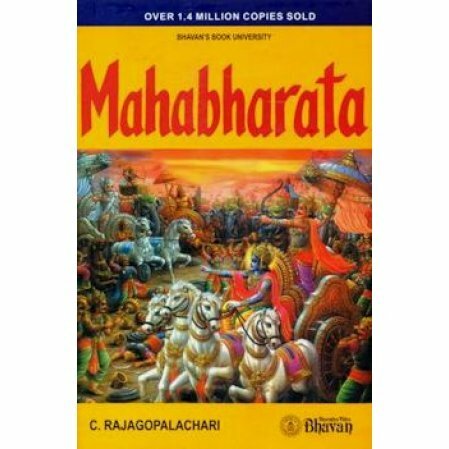 "In Mahabharata, he has displayed his inimitable flair for story-telling and applying the morals of stories to the needs of modern times...To have preserved the beauty and spirit of the great original in refined and simple English is an achievement of the highest order."